We sell elastic safety cat collars – A Cat collar that stays on. The perfect balance of safety and effectiveness. The CatBib will not be effective if the cat loses the CatBib. Cat owners want both a safe collar, that the cat can get out of, if it gets caught on something, but are not happy when the cat loses a collar with ID tags and the CatBib too. The CatBib will work with any collar you choose, but you have to keep the collar on the cat for the CatBib to be effective. The cat collar I like to use is the one with a short length of elastic. The elastic insert will stretch if the cat gets caught on something, and allow the cat to slip out of the collar, but it does not completely release as the plastic-snap breakaway collars do. I like the Kitty Clip collar, a safety collar, NOT a breakaway collar. I sell them online for $8.95 each. See collar photos to the right. 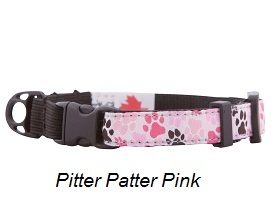 The Kitty Clip collars are considered a safety collar because they have a short piece of elastic in the collar. If the collar gets caught on something, it will stretch and the cat can pull it’s head out of the collar. It is NOT a breakaway collar. The plastic release, shown in the photos, can only be undone by the cat owner. 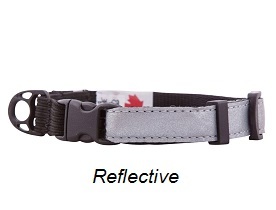 I use this collar and like it’s quality (made in Canada). 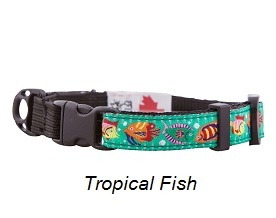 Many bibs are lost using breakaway collars. This Kitty Clip collar has solved two problems, 1) safety and 2) stays on the cat. Once you have decided what type of collar to purchase and if your cat has never worn a collar before, let the cat get used to wearing a collar for several days, before attaching a CatBib to it as well. Surprisingly most cats are not affected by putting a CatBib on their collar. According to the Research Summary…..”Seven cats lost their CatBib at least once during the trial and one lost its CatBib six times.” Seven out of fifty-six cats is 12.5% of the cats in the study. The one cat out of 56 cats who lost it’s CatBib 6 times is not the norm, in other words, 1.7% of cats wearing a CatBib may be expected to lose their CatBibs multiple times. Woe to you if you have a clever cat. Most cats wear safety collars (all the cats in the study also wore safety collars). There are several types of safety collars on the market. Different types of plastic snaps and another design that has a small elastic insert. You may want to try different types of collars. The collar that may work the best is the collar with a small elastic insert. This type collar will not release completely, but can stretch enough so the cat can pull it’s head out of the collar if need be. Customer feedback would be very helpful. (I don’t like the completely elastic collars, because they have a tendency to stretch too much and the cat gets it’s arm though the collar.) 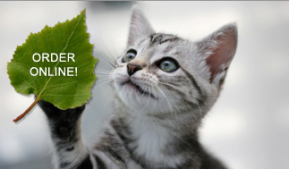 Watch your cat for a few days to make sure your cat adjusts to wearing a collar and CatBib. It’s very possible your cat lost it’s elastic safety collar/CatBib because he was thwarted from catching a bird. When a cat stalks a bird, the CatBib gravitates to the front to be in position to interfere with the cat’s final lunge. This interference can happen several ways….1) the cat lunges and the CatBib flaps up to come between the cat and the bird, giving the bird just enough time to escape….2) or if you’ve ever noticed how cats hunt….the cat will crouch and wait for the bird to get closer, the cat now has it’s front paws on the CatBib, when the cat lunges for the bird, the CatBib stops the lunge because the cat is stepping on it….this may have the unfortunate result of putting pressure on the safety collar, and it releases, but the other result is the bird escaped unharmed. if only more people knew about them. Stop your cat from killing birds. These people did. Bird window strikes kill one BILLION birds a year in the U.S. alone! STOP WINDOW BIRD STRIKES with COLLIDESCAPE , a window film that prevents birds from crashing into your windows. It can save millions of birds. It really works!